The Huawei Y5 Prime 2018 has finally been launched in Kenya. 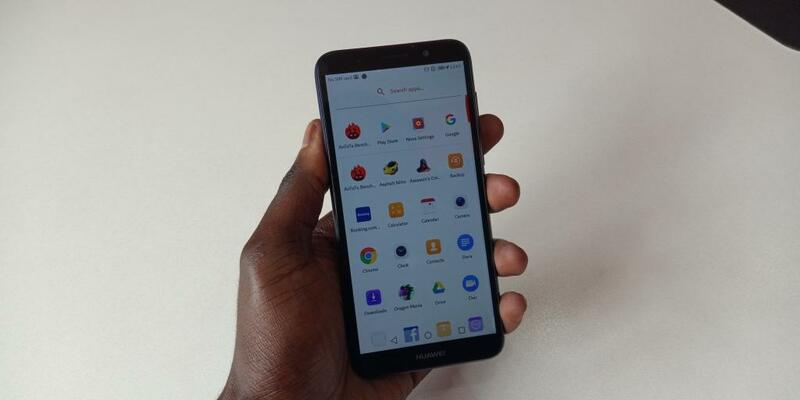 This is the latest smartphone from the company and is available in Kenya through e-commerce platform, Jumia, and through offline retailers across the country. 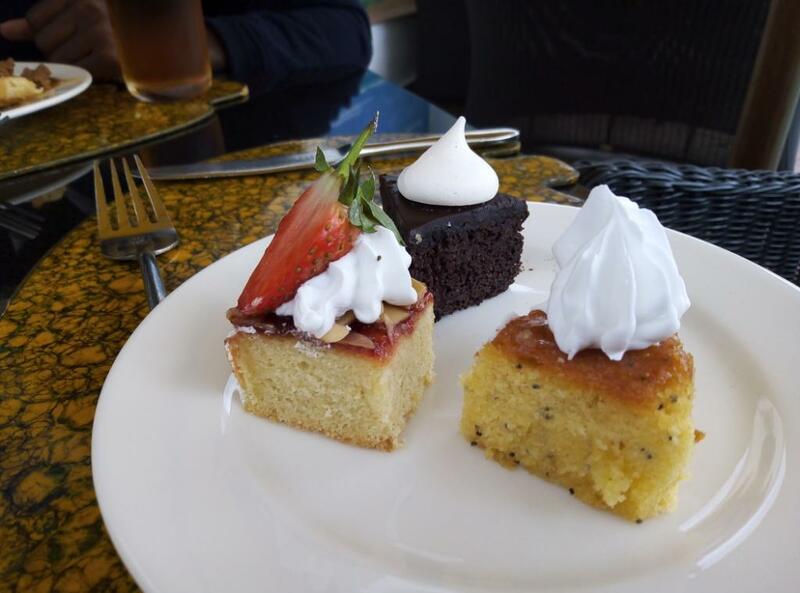 The recommended retail price is Ksh 9,999, very competitive and will definitely eat into Tecno’s and Infinix’s pie. 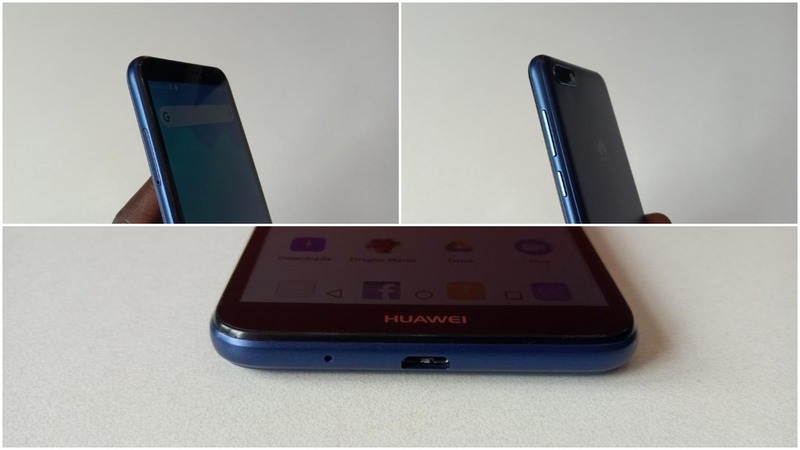 The Huawei Y5 Prime 2018 is the second device in the Y series that the company has launched in the country recently, the other one was the Huawei Y7 Prime 2018 that we have already reviewed and you can read about it here. With the launch of the Huawei Y5 Prime 2018 in Kenya today, we have a review unit and I will be sharing my thoughts on it in a few weeks. In the meantime, I thought I should share my first impressions of this smartphone for those who may be interested in getting it. You are not getting much in the box. The company choose a basic presentation with the essential accessories only. The Huawei Y5 Prime 2018 has a surprisingly good build for a phone under Ksh 10,000. This is not a premium build quality but it is really good compared to what is offered by other manufacturers. The back is made using plastic but not the cheap kind and it feels compact and comfortable. The corners and edges are smooth and this makes it easier and comfortable to carry the phone around. 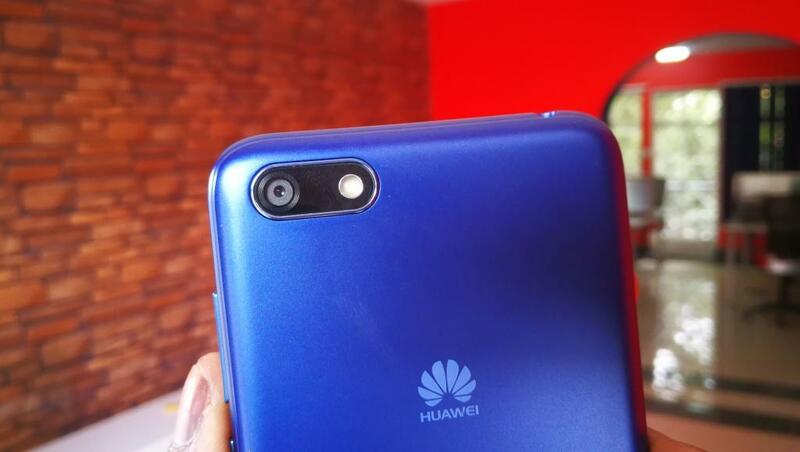 At the back sits the 13MP camera with dual LED flash with nothing else but Huawei branding. There is not fingerprint sensor here. The back camera is quite good from what I have seen so far but you do need good lighting to get the best results. 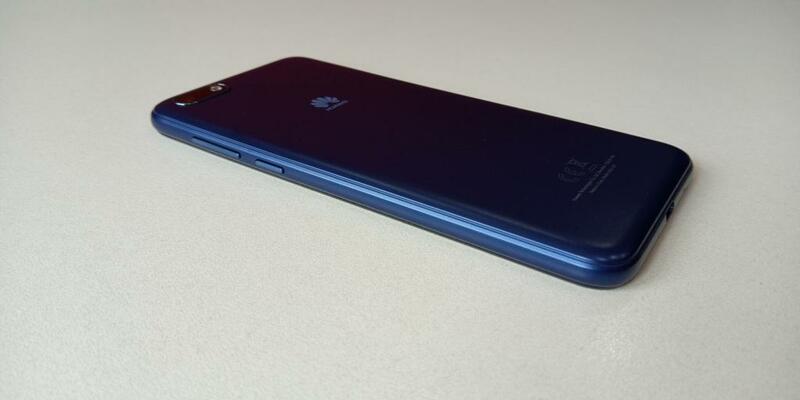 The phone has a 5.45-inch display that is not that big as you’d expect since this phone has the 18:9 aspect ratio. With this, carrying the phone around or even using it with one hand is very much possible even for people who have small hands. In a market flooded with smartphones with 6-inch displays, seeing one with an 18:9 aspect ratio and that is smaller in size is refreshing as it provides potential customers with more options to choose from. Still on the display, this is a 720p one and is bright with punchy colours. This isn’t the brightest display I have seen though, the one on the Infinix Hot 6 is a bit brighter. This is an IPS LCD display that is very responsive with good viewing angles. Below the display is the Huawei branding, something we have seen on other devices from the company before on it other devices. As expected, the power and volume buttons are on the right with the Micro USB port and microphone at the bottom, headphone jack at the top and the dual SIM card and Micro SD card tray on the left. This is not a hybrid tray so you can have two nano SIM cards and a Micro SD card at the same time. 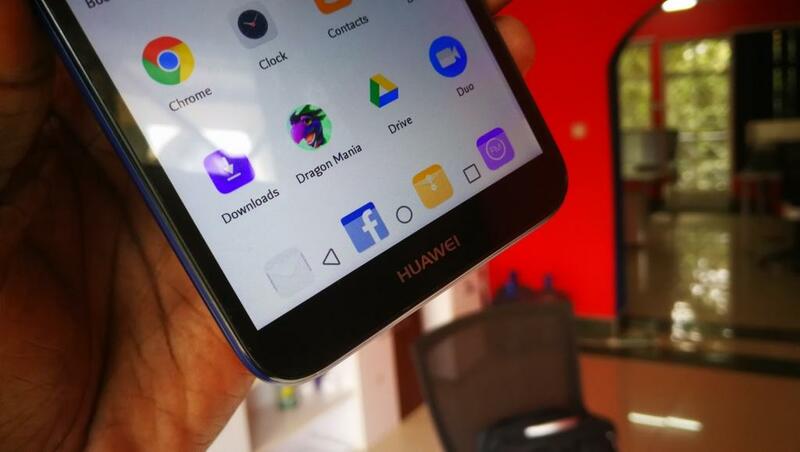 You can use a 4G SIM card on this phone as it supports that and this is one thing that differentiates the Huawei Y5 Prime 2018 from devices such as the Tecno Spark 2 and Infinix Hot 6. If you were wondering where the speaker is, the earpiece doubles as the speaker on this phone and is not that bad. This sort of is a front facing speaker so I expect a good experience when watching movies and will let you know about that in the full review. The Huawei Y5 Prime 2018 comes with Android 8.1 Oreo with the company’s own EMUI 8.0. You do get a ton of bloatware but the good thing is that you can uninstall most of the apps you do not plan to use. I would have hoped for less bloatware from Huawei for once. I would be ok with having the company’s own apps but third-party applications that I do not need should not be there. All these apps and the OS eat up the 16GB of internal storage space the phone comes with and I am left with less than 9GB to use. If this space is not enough for you, you can pop in a Micro SD card to expand that further. As for performance, so far so good and I was not expecting anything else as the phone is still new and should not present me with any problems. I will be keen to see if this will be the case as I continue using the phone. From what I have experienced so far, I do not expect it to be bad whatsoever. Note: Huawei says that the Y5 Prime 2018 has Face unlock but I am yet to see it on my device. We might be getting that in a software update and if that happens, I will definitely let you guys know. The Huawei Y5 Prime 2018 is a promising smartphone for its price. I expect it to sell very well as it comes with some good features for its price. It comes with the latest OS (Android Oreo) and powering it is a quad-core MediaTek processor paired with 2GB of RAM that on paper is slightly better that what we get from its competitors. I will be using this phone and should have the full review in a few weeks so come back for that. Hey Buddy!, I found this information for you: "Huawei Y5 Prime 2018 Unboxing and First Impressions". 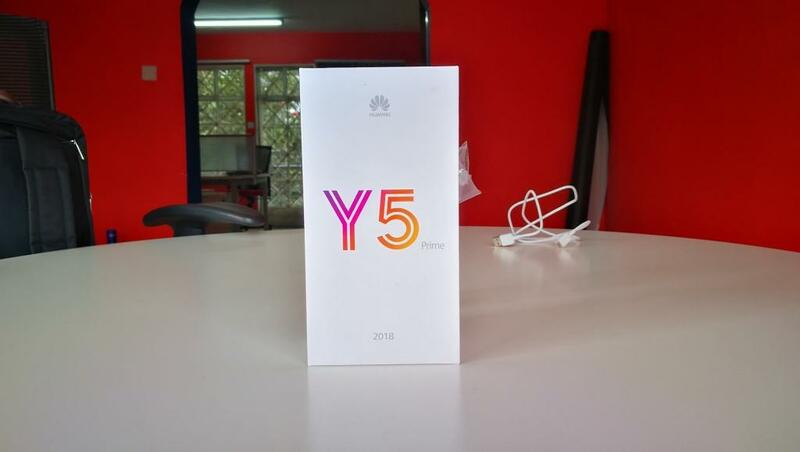 Here is the website link: https://www.techarena.co.ke/2018/07/12/huawei-y5-prime-unboxing/. Thank you.